Vyšehrad Orchards are located in the southeastern part of the Vyšehrad fortress. 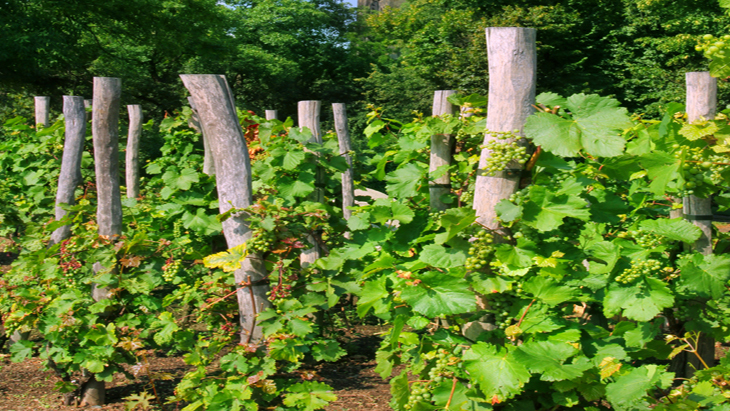 The original bare place was used as a vineyard in the 15th century. The current form of the orchards was obtained mostly in the 19th century. There are statues placed here by the prominent Czech sculptor Myslbek. The eastern part is connected to the panoramic terrace that offers beautiful views of Prague’s Smíchov, the Vltava River and the Prague Castle, and Petřín Hill. On the site of the current orchards there used ti be an armoury in the 17th century. It was built in connection with the Baroque fortifying and the project was carried out by the architects Bossi, Carlo Lurago and the mason G.B. Spinetti. It was quite a simple building, with huge rooms for storing weapons. In 1927 the building burned down and it was decided to demolish it. Only two stone portals have been preserved from the building. There were four sculpture groups by Josef Václav Myslbek placed in the orchards. They relate to the Czech myths and allegories and represent the singer Lumír and the allegory of Song, the heroes of the girl wars Ctirad and Šárka, the Princess Libuše with Přemysl and singers Záboj and Slavoj. Originally, the sculptures decorated the Palacký Bridge, but were damaged during a raid in 1945.